In 2015, drug overdose fatalities reached an all-time high, as over 50,000 Americans died from one within the year, CBS News reports. Opioid drugs, both prescription painkillers and heroin, are the driving force for this, as more than six out of 10 overdose deaths involved an opioid drug, CNN publishes. Opioid abuse, addiction, and overdose have reached epidemic levels in the United States in recent years. The Centers for Disease Control and Prevention (CDC) warns that 91 people die every day in the United States from an opioid overdose. Prescription painkillers, heroin, and the extremely potent synthetic opioid fentanyl are often culprits of opioid overdose fatalities. Mixing opioids with benzodiazepines (e.g., Valium, Xanax, Klonopin, Ativan, etc.) greatly increases the risk for suffering an overdose, and it’s common that multiple drugs are involved in overdose deaths. These numbers are based on age-adjusted rates, and this allows researchers to compare states that have variations in their age distribution more accurately. The numbers reflect how many people are dying per capita in order to take into account population density, as some states have higher population bases than others. For example, states like California, New York, and Florida have some of the highest numbers of overdose fatalities; however, they also have larger populations than most other states. Each of the top 10 states for drug overdoses per age-adjusted rate is outlined in detail below. Specifics are included on how each state factors into the high number of overdose deaths plaguing the country and what they are doing to combat the epidemic. West Virginia Public Broadcasting reports that 818 people died of a drug overdose in West Virginia in 2016, and close to 90 percent of these deaths involved at least one opioid drug. This is an increase over previous years and equates to roughly one West Virginian dying by drug overdose every 10 hours, the Times West Virginia reports. A relatively small state with a population of around 1.8 million, as published by the United States Census Bureau, that high number of overdose deaths has a significant impact. Aware of the toll drug overdoses are taking on the community and population of West Virginia, President Obama announced an administrative action in 2016 that allotted $1.7 million in federal funds to community substance abuse treatment centers in West Virginia in an attempt to expand access to treatment to its citizens, per West Virginia Public Broadcasting. By improving treatment and prevention methods, the overdose rates may be able to be slowed. West Virginia already has a Prescription Drug Monitoring Program (PMDP) in place that regulates prescribing healthcare providers in order to ensure that drugs are being distributed safely. West Virginia also has laws in place that allow naloxone, an opioid antagonist and overdose reversal drug, to be prescribed to people who need it. Increased access to this rescue drug may help to reverse overdoses and prevent deaths. In February 2017, Senate Bill 418 was introduced, which is a comprehensive plan laid out by legislators to improve public health by addressing the opioid and substance abuse and overdose crisis plaguing the state. SB 418 would establish an Office of Drug Control Policy (ODCP) that would compile data, promote research, and enact pilot programs for prevention and treatment of substance abuse and overdoses. The bill also states that “harm reduction” programs, or needle exchange programs, be set up across the state. In March 2017, the “West Virginia Drug Overdose Monitoring Act,” or HB 2620, was enacted, proving a centralized data collection site, the Parkersburg News and Sentinel publishes. The data collected may be used for research purposes, which can then help state officials apply for federal grant money to help lower drug overdose rates in West Virginia. Close to 500 people died from a drug overdose in 2016 in New Hampshire, and opioid overdose fatalities increased by a rate of 191 percent over the past five years, the Portland Press Herald reports. With an even smaller population than West Virginia – sitting around 1.3 million people, according to the most recent United States Census Bureau’s statistics – this is a massive number that unfortunately just keeps climbing. The New Hampshire Drug Monitoring Initiative (DMI) works to compile information on the public health crisis and use this information to deter illicit drug distribution and abuse. Under direction from the governor’s office, several state agencies (including the New Hampshire Department of Health and Human Services, or DHHS) and partners in both the private and public sectors are working together to combat the overdose and opioid abuse epidemic. A report was filed in 2016 highlighting the opioid public health crisis and detailing measures the state has been undertaking to correct it. Enhanced prevention methods, educational programs, improved access to treatment and funding for treatment services, increased access to the reversal drug naloxone, and development and support of treatment services are all methods New Hampshire is employing to bring opioid abuse and overdose numbers down. In early 2017, The Daily Caller published that additional reforms were put into place to prevent opioid overdose deaths. The new rules state that prescribing doctors must now perform a “patient-risk evaluation” before prescribing potent opioid painkillers. The patient must also sign an informed consent form showing that they understand the potential risks. Patient information then goes into a statewide database, or PMDP, which helps to make sure that they are not getting these medications from multiple sources. PMDPs help to cut back on potential “doctor shopping” methods. The goal of these new regulations is to attempt to attack the opioid problem at the source. By limiting the number of prescriptions dispensed, and only giving them to those who really need them, addiction and overdose numbers should hopefully come down as access to these drugs becomes more restricted. The 2015 Overdose Fatality Report shows an increase in overdose deaths in Kentucky from the previous year, up to 1,248 total. Close to 30 percent of these deaths were attributed to heroin, another 34 percent to the powerful and potent synthetic opioid drug fentanyl, and 28 percent involved the benzodiazepine alprazolam (brand name: Xanax). Kentucky was hit particularly hard by the prescription opioid abuse crisis that was in part perpetuated by the makers of OxyContin (oxycodone), Purdue Pharma. The company pled guilty to federal charges in 2006 for misrepresenting the drug as nonaddictive to prescribers and patients alike. In 2007, the State of Kentucky filed its own lawsuit, and Purdue agreed to pay the state $24 million in damages, CNBC reports. The eastern portion of the state was particularly impacted by OxyContin, as numerous coal miners were prescribed the drug for injuries and pain, and this led to drug dependence, addiction, and abuse. OxyContin was pulled from shelves, and an abuse-deterrent form was released in 2010; however, the pill had already been on the market and wreaking havoc for around 20 years. Abusers may have also shifted their focus to other opioid drugs, such as heroin and illicit fentanyl, as OxyContin became less accessible. The Lexington Herald Ledger reports that eastern Kentucky still had the worst rate of overdose deaths in the state as of 2015, and oxycodone still accounts for 23 percent of overdose fatalities in the state (and hydrocodone for 21 percent). The State of Kentucky and ODCP have several programs and laws in place to stem the tide of overdose deaths and opioid abuse, including PMDPs, laws regulating the availability of prescription drugs, and expanded access to treatment services. Medicaid also covers substance abuse treatment now, which it didn’t in previous years, although there is still the issue of an insufficient number of providers in the state. Treatment services are slowly improving around Kentucky, as demand for them and federal funding increase. Ohio led the United States in number of opioid overdose deaths (2,106 or 7.4 percent of the national total), heroin overdose deaths (1,208 or 11.4 percent of the national total), and synthetic opioid deaths, which include fentanyl and carfentanil (590 or 7.4 of the national total) in 2014, beating out states like New York and California that have larger populations, the Columbus Dispatch reports. One out of every nine heroin overdose deaths and one out of every 14 synthetic opioid overdose deaths happen within Ohio. The 2015 Ohio Drug Overdose Data: General Findings reported that 3,050 Ohio residents died from a drug overdose death that year, an increase of more than 20 percent over the previous year. Overdose fatalities involving fentanyl, a synthetic opioid that is 50-100 times more potent than morphine, more than doubled from 2014 to 2015, rising to 1,155. Fentanyl is both diverted through licit channels where it is prescribed as a painkiller and manufactured illicitly in clandestine laboratories and distributed through illegal drug trafficking. A list released in 2016 cited Dayton, Ohio, as having the highest number of drug overdose deaths of any city in the United States, WHIO publishes. Also in the top 10 were the Ohio cities of Cincinnati (6th) and Toledo (10th). In 2015, one person died in Ohio from a drug overdose every two hours and 52 minutes, or eight people every day, the Columbus Dispatch publishes. The Washington Post reports that in 2017, morgues around Ohio were having to use cold storage trailers to store bodies due to the massive amount of overdose fatalities overwhelming local coroners’ offices statewide. State officials in Ohio are encouraging healthcare prescribers to use PMDPs in order to have accurate data on prescriptions being dispensed and to use the Ohio Automated Rx Reporting System (OARRS) to identify what medications a patient might already be taking before prescribing controlled substances. In 2011, the Governor’s Cabinet Opiate Action Team issued a set of prescribing guidelines for opioid drugs, outlining how they should be prescribed by acute care facilities and emergency departments. Overdose death data, pharmacy dispensing systems, and electronic patient medical records were linked with OARRS in 2015 to regulate prescribers and minimize doctor shopping. Law enforcement efforts have also increased, and the “Start Talking!” education program has been implemented, which takes aim at young people to prevent opioid abuse in the first place. Ohio also became the first state to negotiate a price freeze for the overdose reversal drug naloxone with Adept Pharma for their Narcan nasal spray in 2016. This freeze will stay in place through 2017 and keep the drug affordable (at $75 a carton, a 40 percent discount over its market price) and therefore more accessible to law enforcement, WSAZ reports. As the smallest state in the nation, Rhode Island is densely populated with a population of around 1 million, per the United States Census Bureau. Rhode Island also suffers from a serious drug problem, ranking fifth for the most drug overdoses per capita in the United States. Approximately 326 people died from a drug overdose in 2016, U.S. News reports, and more than half of these fatalities involved the drug fentanyl (57 percent). The State of Rhode Island Department of Health warns that drug overdose death is the number one cause of accidental death in the state. The number of deaths related to fentanyl has increased 15-fold since 2009. While prescription drug-related deaths have leveled out over the past several years, deaths from illicit drugs and those involving a combination of prescription and illicit drugs are on the rise, the State of Rhode Island Department of Health publishes. Rhode Island also created a kind of dashboard for data pertaining to overdose and drug abuse on the website Prevent Overdose, RI. The site provides information and resources on overdose prevention for interested parties. More people died from a drug overdose in Pennsylvania in 2015 than in car crashes, the Pocono Record publishes, as 3,505 fatalities were reported. Around 60 percent of these deaths involved an opioid drug like heroin or a prescription opioid, PA Penn Live reports. Opioid addiction treatment medications like Narcan and buprenorphine were found in 14 percent of overdose victims in 2015 as well. Pennsylvania has a Standing Order in place allowing naloxone to be prescribed from any pharmacy in the state to first responders, law enforcement, and friends and family members who fear a loved one may be in danger of an overdose. The Overdose Task Force (OTF) was established in 2013 to streamline data, establish rapid responses to the overdose crisis, and inform on public policy by the Pennsylvania Department of Drug and Alcohol Programs (DDAP). The website OverdoseFreePA provides resources, data, and educational information on the overdose epidemic in the state. Pennsylvania’s Prescription Drug Monitoring Program tracks the prescription of all controlled substances and provides referrals to treatment for those who are deemed at risk for addiction and/or overdose. The state’s DDAP also implemented a “warm hand-off” protocol for individuals who survive a drug overdose to provide them with counseling and a referral from a doctor to a drug addiction treatment program. Models involving law enforcement referrals to addiction treatment programs are being researched as well. Treatment bed capacities are also in the process of being monitored to improve access to treatment programs and treatment availability. Close to 2,000 people died from a drug overdose in Massachusetts in 2016, the Boston Globe publishes. Preliminary numbers for 2016 published by the Massachusetts Department of Health (DOH) estimate that there were over 1,500 opioid overdoses in the state that year – an increase from 2014. Fentanyl seems to be driving the overdose numbers in Massachusetts, as The Enterprise reports that fentanyl was present in 74 percent of overdose fatalities in 2016. Heroin was present in 54 percent of the toxicology reports. The Governor’s Opioid Working Group put together an Action Plan to stem the tide of opioid abuse and overdoses in the Commonwealth of Massachusetts. The Action Plan recommends that educational measures be put into place for healthcare providers, prescribers, parents, students, and faculty members at schools in order to raise public awareness about the health crisis to prevent overdose and opioid abuse. Treatment protocols are to be improved, the number of beds increased, and rescue and recovery services improved. In March 2016, Governor Baker signed legislation into law regarding opioid prescriptions, treatment, prevention, and education measures, titled “An Act, relative to substance use, treatment, education and prevention.” This bill became the first of its kind to limit opioid prescriptions to seven days, among other measures. A fentanyl trafficking bill increasing penalties for the offense was also signed into law. Close to 90 percent of the Action Plan’s initiatives are currently in place. Overdose deaths reached an all-time high in New Mexico in 2014, increasing to 536 deaths, the Albuquerque Journal reports. The New Mexico Drug Policy Alliance (DPA) publishes that 60 percent of drug overdose fatalities in 2014 involved a prescription opioid painkiller, 30 percent involved heroin, and 10 percent involved both. Seven people died every week from a drug overdose in New Mexico in 2014. The New Mexico Department of Health Substance Abuse Epidemiology Program (SAEP) collects data on drug abuse and overdose rates in order to drive public policy and prevention methods. New Mexico was the first state to amend their Good Samaritan laws (which protects bystanders from criminal prosecution for possession of illegal drugs when reporting an overdose) to include overdoses and also the first to provide pharmacists with the authority to prescribe naloxone to laypersons without a prescription from a physician, the Pharmacy Times reports. In February 2017, New Mexico was awarded grant money from the Pfizer Inc., Naloxone Access Program to raise public awareness into the opioid overdose crisis and fund educational initiatives, such as participation in the National Prescription Drug Take Back Day, improvement in the Prescription Monitoring Program (PMP), and policies regarding insurance coverage for naloxone, per the New Mexico Department of Health. New Mexico has consistently had one of the highest per capita drug overdose death rates in the country, but it has been declining in recent years. The CDC reports that 646 people died from drug overdose in 2015, which for a population of around 3 million according to the United States Census Bureau, is a high number per capita. 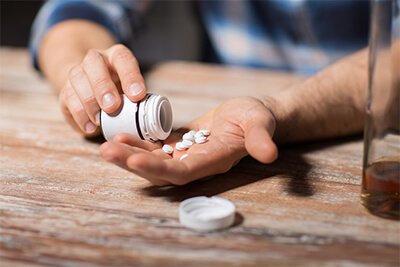 The Utah Department of Health published reports that in 2014, approximately 362 out of 538 overdose fatalities involved a prescription drug, 300 of which involved opioids. The Utah Department of Health states that 23 people die a month from an opioid overdose in the state. In 2014, two laws were passed by the Utah State Legislature to help decrease overdose deaths, including the Good Samaritan Law and the Naloxone Law, which allows naloxone to be prescribed by pharmacists to third-party people. In 2017, the “Stop the Opidemic” campaign was instituted, providing information and resources on an easily accessible website in an attempt to reverse the public health crisis surrounding opioid overdoses in Utah. The Tennessee Department of Health reports that 1,451 people died of drug overdose within the state in 2015. The rate of drug overdose deaths has been steadily increasing in Tennessee over the past five years, and as with the other states, opioid drugs play a big role. Opioid drugs were involved in 72 percent of all drug overdoses in Tennessee in 2015; there were 205 deaths related to heroin, 174 related to fentanyl, and 30 percent of the overdose deaths involved a combination of benzodiazepines and opioids. In July 2014, Tennessee passed a Good Samaritan law, allowing citizens to administer the lifesaving overdose reversal drug naloxone (NarcanTM), providing training on how to use it, and granting immunity from civil suit as well as civil immunity for people who use naloxone to try and save a life. Opioid prescription rates are sky high across the country, and in Tennessee, more opioid prescriptions are written than there are residents to receive them, the Tennessean reports. The task force on opioid abuse is working to lower the number of prescriptions being written, identify high-volume prescribers, and hold the prescribing physician accountable when opioid overdose occurs, WKRN publishes. The task force is focusing on attempts to curb opioid abuse at the source of distribution. By limiting the number of opioids prescribed, they hope to lower rates of overdose fatalities. The second focus of the task force is on improving addiction treatment in Tennessee.